It is important to remember, diet during pregnancy is all about quality not quantity unlike the popular saying “Eating for Two” which suggests otherwise! In fact, pregnant women should only eat one extra snack per day to achieve a healthy weight gain. It is more important to eat a wider variety of food to meet the increased nutritional requirements a pregnant women needs for healthy growth and brain development of a growing baby. To get the increased nutrients, vitamin and mineral requirements during pregnancy a variety of foods from the following five food groups should be eaten daily. It is vital that pregnant women increase their daily protein intake by approximately 60% to ensure normal growth and prevent low birth weight. 3 ½ serves per day should be eaten from red meat, chicken, fish (*some fish should be avoided), eggs, legumes, tofu or nuts. * There are certain types of fish that should be limited because of their high levels of mercury. Shark (flake), broadbill, marlin and swordfish shouldn’t be eaten more than once per fortnight and orange roughy (sea perch) and catfish, more than once per week. Other fish are safe to eat and canned tuna is not restricted. Fruits provide vitamins and minerals, as well as fibre. Eat 2 Severs of fruits per day such as Avocado, Mango, Grapes, Lemon, Sweet lime, Bananas, Berries, Orange, Apple, and Lychee. Vegetables are also a great source of vitamins, minerals, and fibre. Eat 5 serves of vegetables per day from Leafy Greens, Broccoli, Sweet Potato, Bell Peppers, Tomatoes, Green Peas, Beetroot, Carrots, Pumpkin, Sweet Potato, Spinach, Kale, Brussels Sprouts, Asparagus and Sweet Corn. Breads and cereals are important form of carbohydrates. They are a great source of vitamins and fibre, and are satisfying without containing too many calories. 8 ½ serves are recommended per day of Wholemeal varieties such as bread, potatoes, breakfast cereals, rice, pasta, noodles, maize, millet, oats, sweet potatoes, yams and cornmeal. Dairy foods are important because the contain calcium and other nutrients that your baby needs. 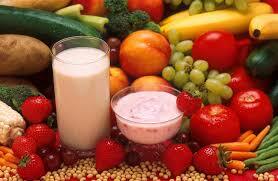 2 ½ serves of Dairy foods is recommended per day such as milk, cheese, fromage frais and yoghurt. Although a supplement is recommended it should not substitute a healthy well balanced diet, it should be taken in addition to well balanced diet. A supplement such as Elevit with Iodine will help meet the nutritional needs of pregnant women. Folate or Folic Acid is a B group vitamin needed for healthy growth and development and helps prevent birth defects which is also included in most pregnancy multivitamins. Pregnant women are generally more susceptible to food generated illnesses however there are some foods that pregnant women should simply avoid. Food including cold cured meats, raw or uncooked meat, liver products, chilled seafood, raw seafood or shell fish, packaged salads, fish high in mercury and blue or soft cheese should not be eaten because they may contain listeria, a type of bacteria that can harm an unborn baby. Don’t take high-dose multivitamin supplements, fish liver oil supplements or any supplements containing vitamin A, and avoid alcohol and smoking. It is also recommended to avoid energy drinks and reduce caffeine intake to 200mg. Practising good food hygiene by making sure food is always washed thoroughly and only eating freshly cooked or freshly prepared food will minimise the risk of food related illness or harm to baby. help manage blood sugar levels related to gestational diabetes. It may also help you to have a shorter labour and increase your chances of having a natural birth. Pre-eclampsia is a condition which can occur in the second half of pregnancy, characterised by high blood pressure, sudden swelling and rapid weight gain due to fluid retention, and protein in the urine. It is also harmful for unborn baby as it restricts its growth. Avoid raising your body temperature too high, don’t over do it to the point of exhaustion, avoid excessive sweating, avoid lifting heavy weights, don’t exercise if you feel ill or feverish, don’t increase intensity over 75% of maximum heart rate, avoid high risks activities such as skiing, horse riding, scuba diving and contact sports. A healthy diet and moderate exercise throughout pregnancy will help ensure a healthy pregnancy with lower risks of complications occurring. It is important to be mindful of certain foods that shouldn’t be eaten during pregnancy and always practice good food hygiene in cooking and preparation. It is also important to remember that you only need to increase your calorie intake by approximately 1 extra snack per day however you do need to meet a higher nutritional intake done by eating wider variety of nutrient rich foods. The benefits of regular moderate exercising are immense and it comes highly recommended for every pregnant woman without complications to partake in 30-60 minutes 5 days a week. In our next blog post we will touch on some other important topics to consider before your baby arrives such as finances, time organisation and we will also include a handy check list to help prepare for your baby's arrival.